I've almost been in the UK for four years now. For the first couple of years, when we hit March, I would start to get itchy eyes and start sneezing. There would be a period of about 3 weeks where I would have a mild but annoying hay fever. This spring, though, has been so miserably cold and wet, I didn't experience any symptoms through March or April. Most of the way through May, I was still symptom free. Yesterday, on the 25th of May, I woke up and as soon as I left the house I could feel my eyes itching. Within 10 minutes, I felt the tickle in my nose telling me a sneeze was coming. "Of all the days," I said to myself. I ran off to the local pharmacy to get some Claritin, because May 25th was a very bad day for me to start my annual suffering from hay fever. I was off to a place that would aggravate my symptoms. 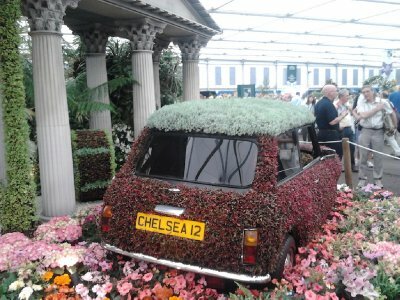 I was off to the Chelsea Flower Show. 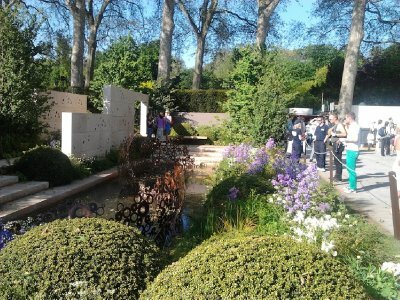 The Chelsea Flower Show is an annual event held on the grounds of the Royal Hospital in Chelsea. 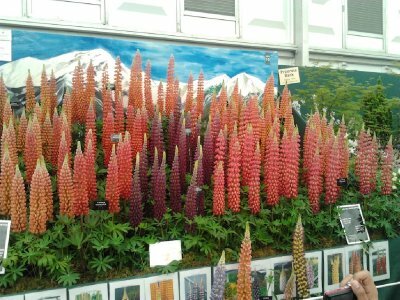 The show, put on by the Royal Horticultural Society, is more than just a chance to see flowers and buy some seeds and trowels, though there is a lot of that. 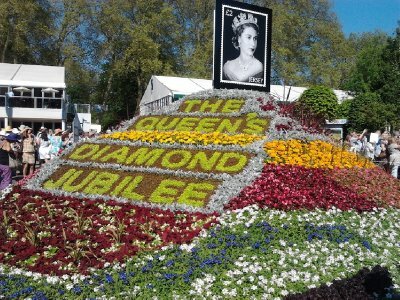 In addition, Gardeners from around the UK and the world come and set up show gardens, often with crazy themes. 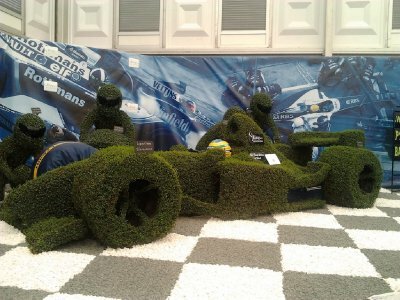 Williams F1 Hedge. Fitting after they just won the Spanish GP a few weekends ago. The wild garden was very popular this year. 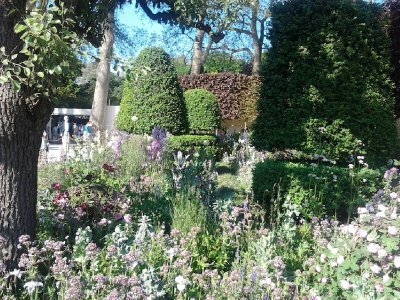 There were very few of the structured, sculptured gardens that you might think of when you think of gardening. Instead, there are a lot of wild and unstructured beds with a menagerie of plants. Minotaur. 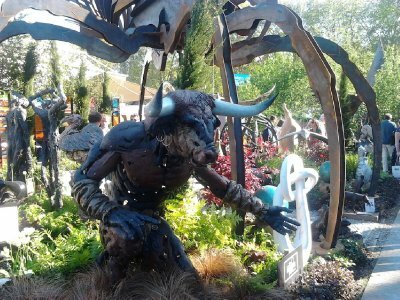 There were some crazy garden statues available to buy. 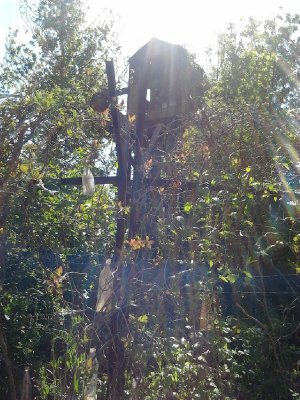 DMZ Garden. Garden showing what might be growing in the demilitarized zone between North and South Korea, along with reminders of the on-going war between the two. Luckily the Claritin did its job, and my sneezing and itchy eyes were kept to a minimum. The sun was warm, but there was often a nice breeze to keep things cool. After wandering around for a few hours, we found a nice place to sit in the shade on the cool grass, and enjoyed a cider. Music wafted through the trees from the nearby stage, and we watched the wide swath of people walking by - young couples, hipster artists, Chelsea Pensioners, upper-middle class retirees, accents from around the world - French, American, Spanish, Chinese and Japanese. 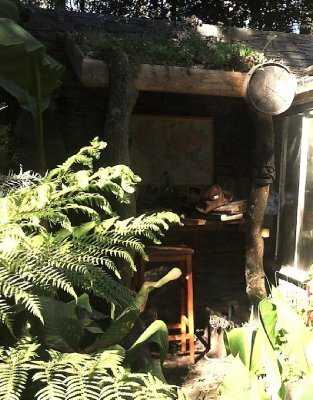 The world loves a garden.